Last week, Flemish broadcaster VRT revealed that Laura Groeseneken will represent Belgium in Eurovision 2018. Laura was the first artist confirmed for the upcoming song contest in Lisbon. The 27-year-old from Leuven (who is also known by the stage name SENNEK) is a soul, electronica and pop performer and was internally selected by VRT. More details have now been released about the Belgian participation in Eurovision 2018 following an interview Groeseneken gave to VRT. In the interview, Groeseneken reveals her initial trepidation about stepping into the spotlight for Eurovision. She has previously worked with musician Piet Goddaer (Ozark Henry) but Eurovision will give Laura the opportunity to take centre stage. The interview also confirms Groeseneken as a fan of the contest. One of her favourite entries from recent years is the Eurovision 2016 winner 1944 by Jamala. 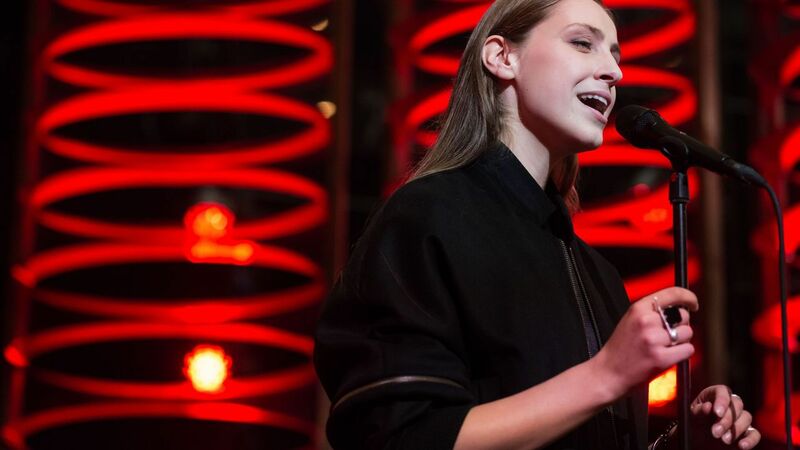 Following the revelation that she would represent Belgium in the next Contest, Groeseneken also performed an English language cover version of Amar Pelos Dois by Salvador Sobral, the winner of the 2017 contest. When I informed my boss of my song contest adventure, I secretly thought that she thought I would announce a pregnancy, but it was something different! She is very happy for me and my parents are happy too after an initial surprise. Belgium was one of the original seven nations to participate in the first edition of the Eurovision Song Contest in 1956. To date the country has won the contest only once in 1986. Sandra Kim won the contest with the song “J’aime la vie”, her victory was not without controversy when it emerged that Sandra was just 13 years old, two years younger than the age restriction at the time. In the late 00s Belgium struggled in the contest failing to reach the final annually from 2005 until 2010, when Tom Dice finished 6th in the final with 143 points. Belgium has finished last at the contest six times, including two sets of nul points.